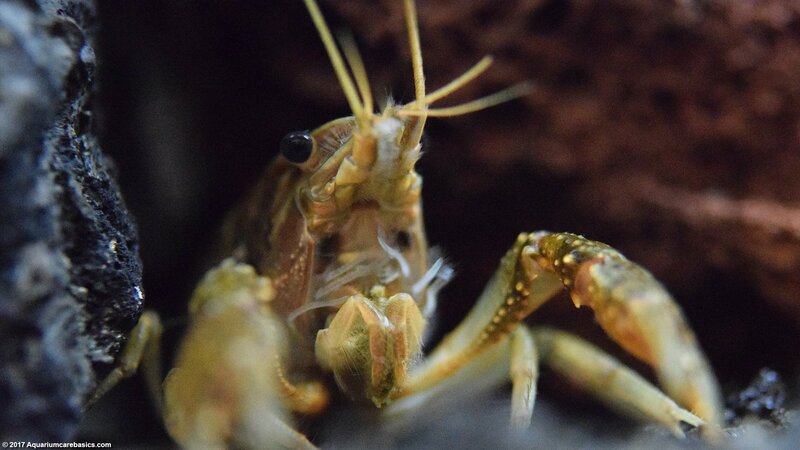 Aquarium Crayfish can be fun to keep. 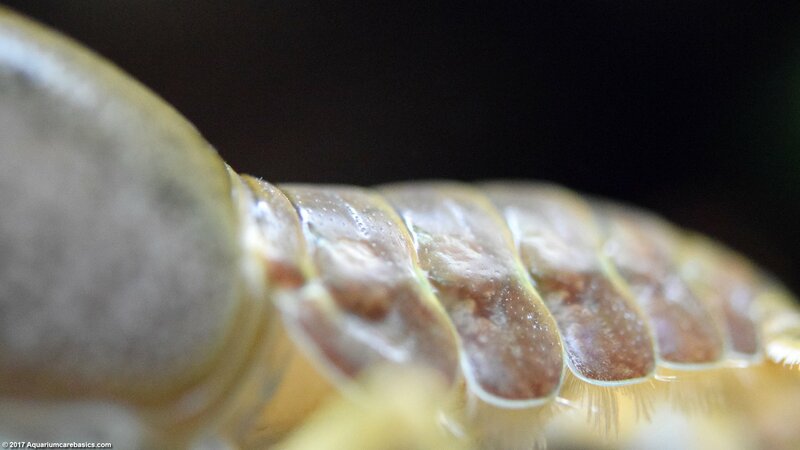 They are active scavengers adept at picking through substrate as they search for food. 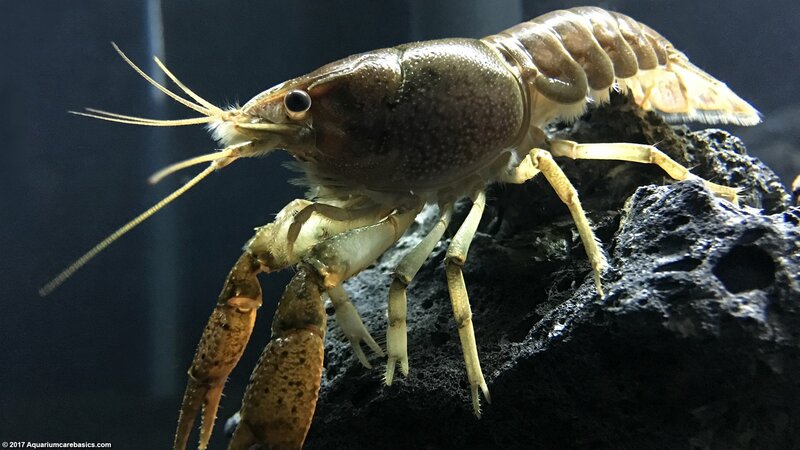 They can sometimes be sold in stores as freshwater aquarium lobsters, and they can be further marketed referencing their shell color. 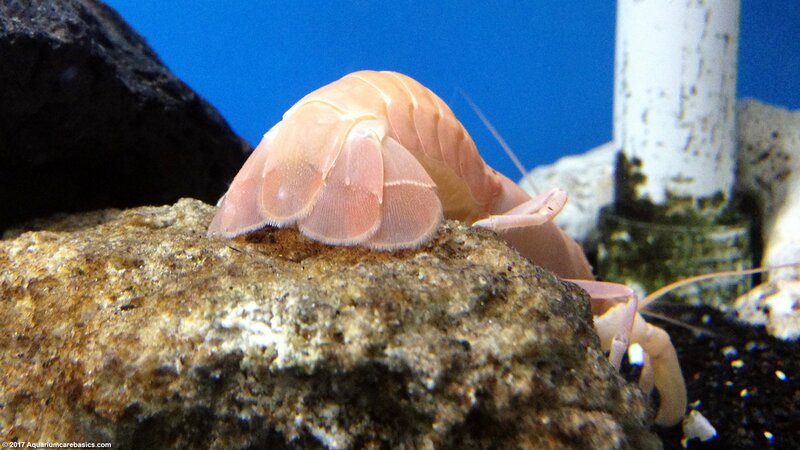 But regardless of variations in shell color, the care requirements are basically the same. 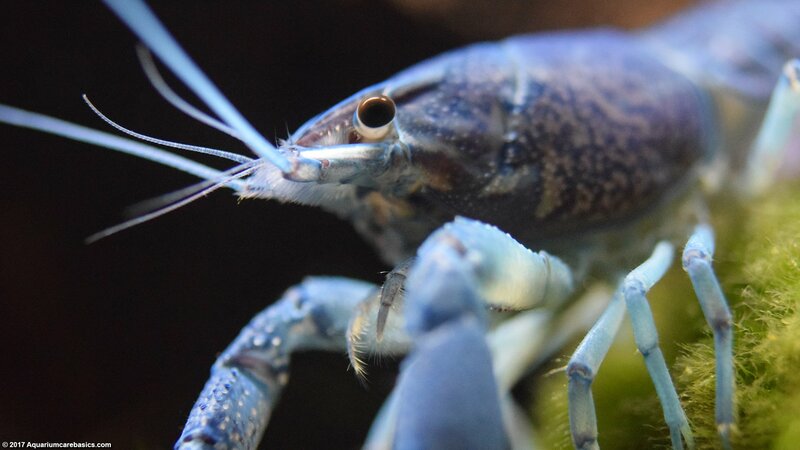 Hammers Cobalt Blue Lobster: Known for their rich blue colors, Hammers Cobalt Blue Lobsters are eye-catching and captivating. 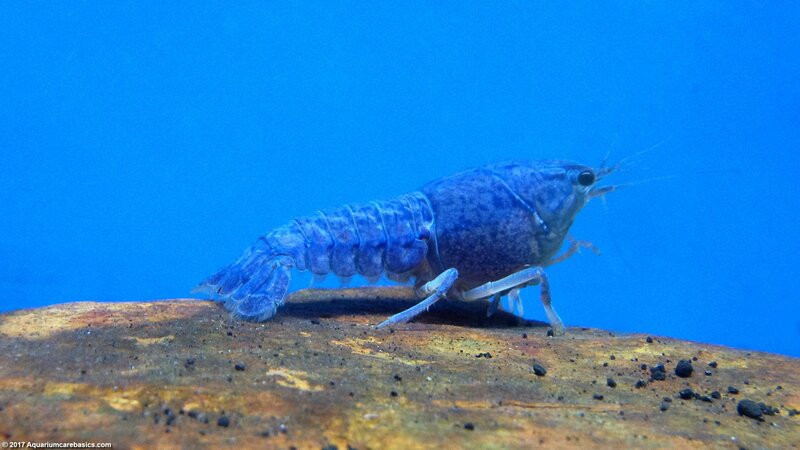 Their blue claws and long blue antennae really add accent color to an aquarium, especially against black gravel. 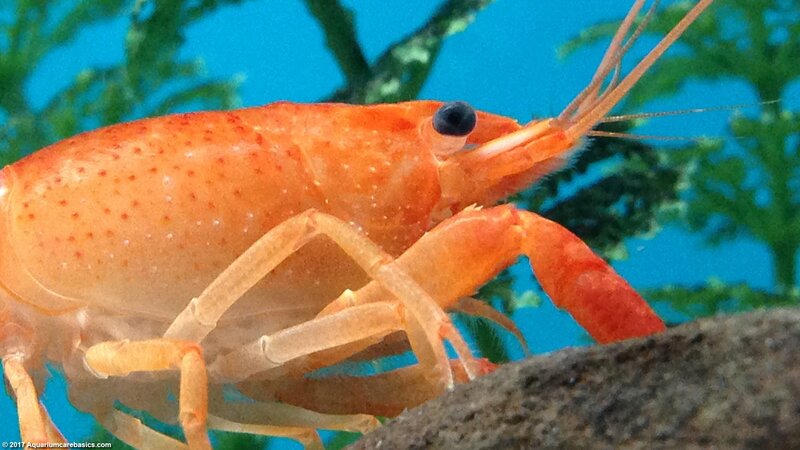 Tangerine Lobster: A Tangerine Lobster is known for its bright reddish-orange shell and dark eyes. 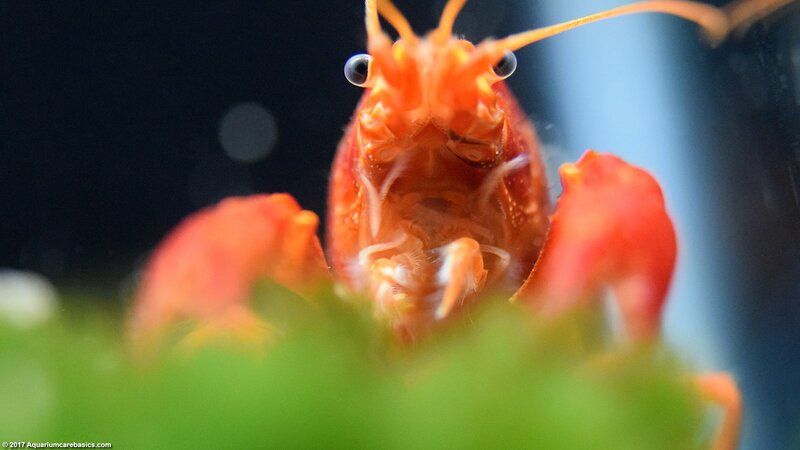 A Tangerine Lobster has nimble legs, powerful claws, and make great little scavengers. They offer hours of interesting behaviors to watch. 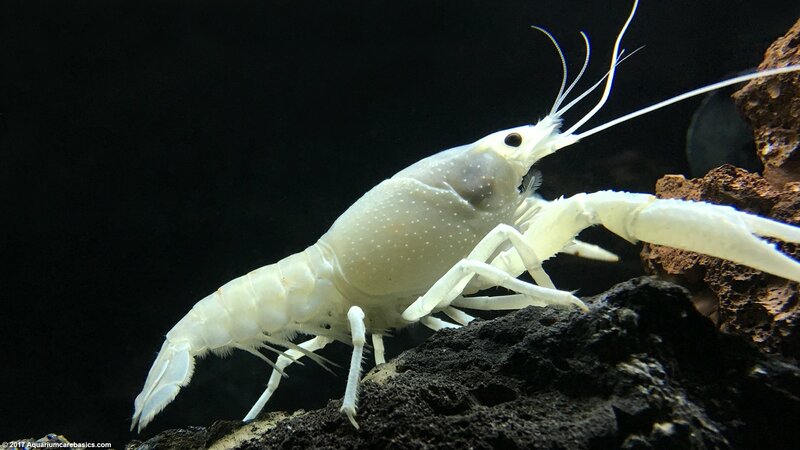 White Crayfish: A White Crayfish can be a beautiful addition to an aquarium, especially in tanks with black gravel or substrate. 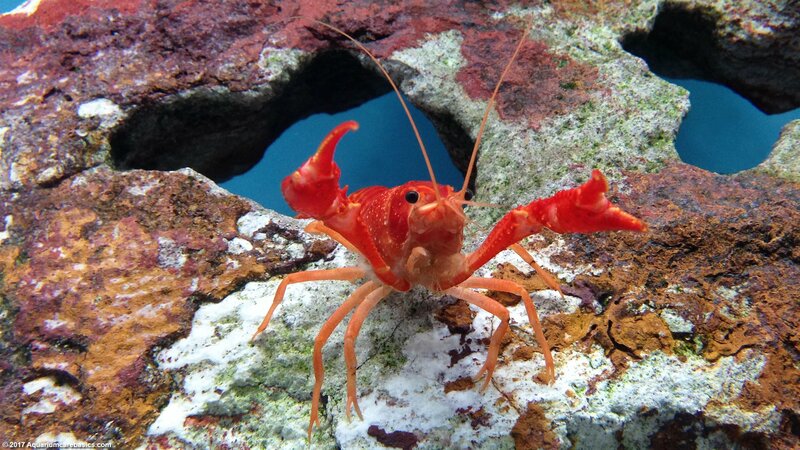 A White Crayfish is an industrious scavenger, constantly on the prowl for something to eat. 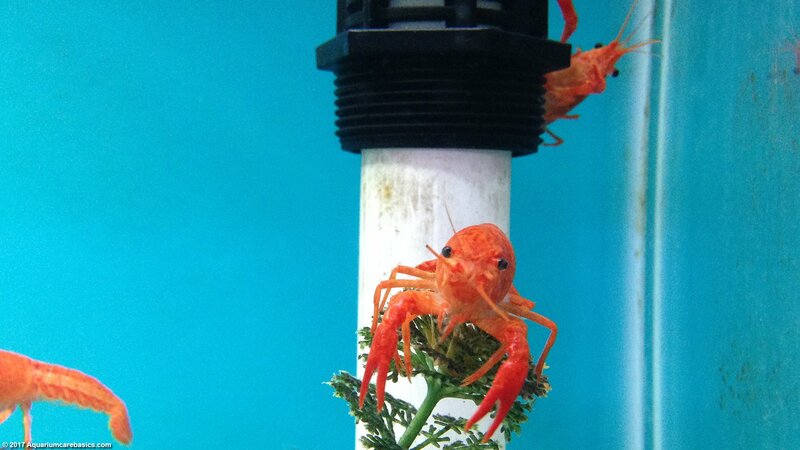 Maybe the best way to keep aquarium crayfish is to set up a one-of-a-kind species tank. 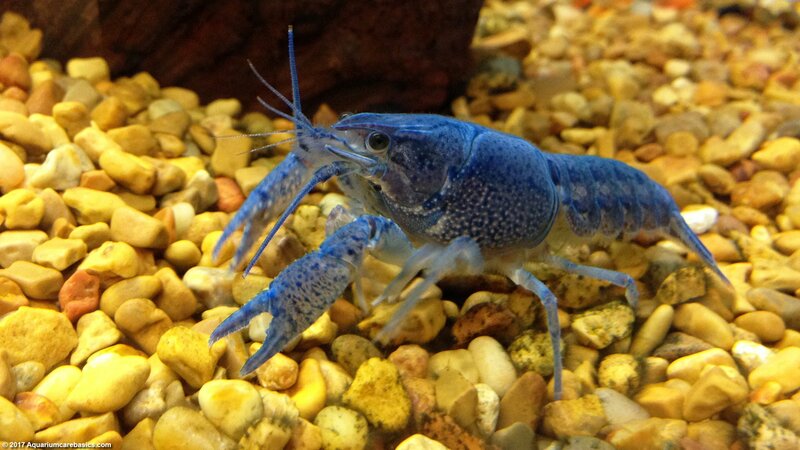 When considering an aquarium crayfish species tank, start with a tank at least 20 gallons (long) in size. 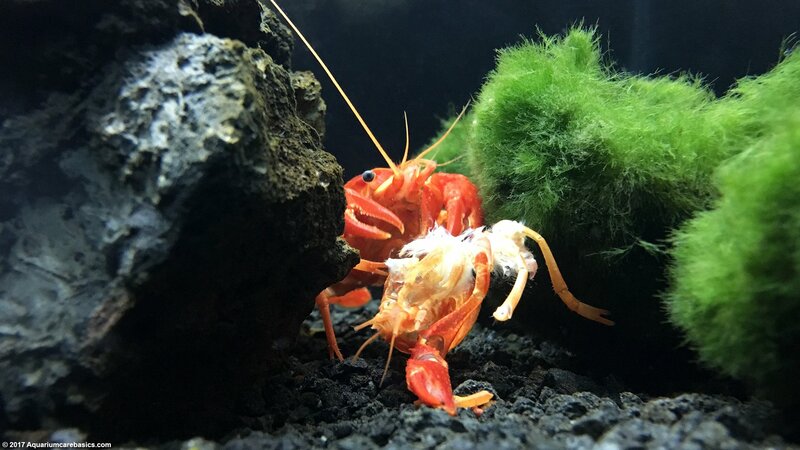 A 15 gallon tank is too small to keep even one crayfish. 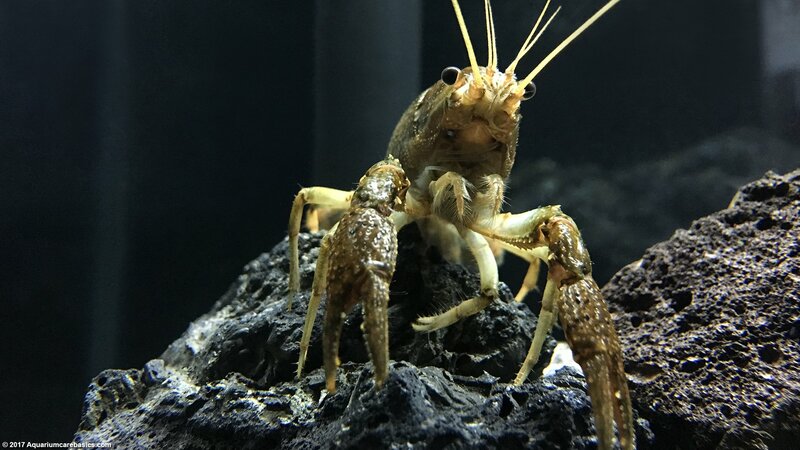 Crayfish need more space and water than that. Also consider the footprint of the tank. 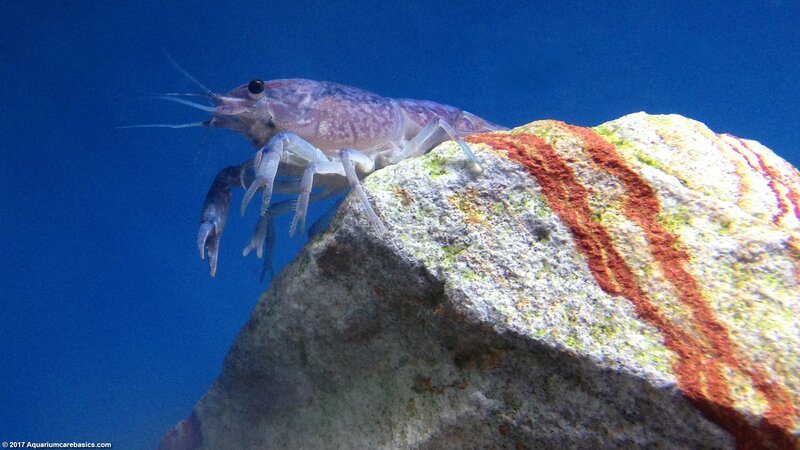 Aquarium crayfish need sufficient area on the tank bottom to move about. Finally, keep in mind that these creatures needs an environment with plenty of places to explore, climb on, hide and call their own. 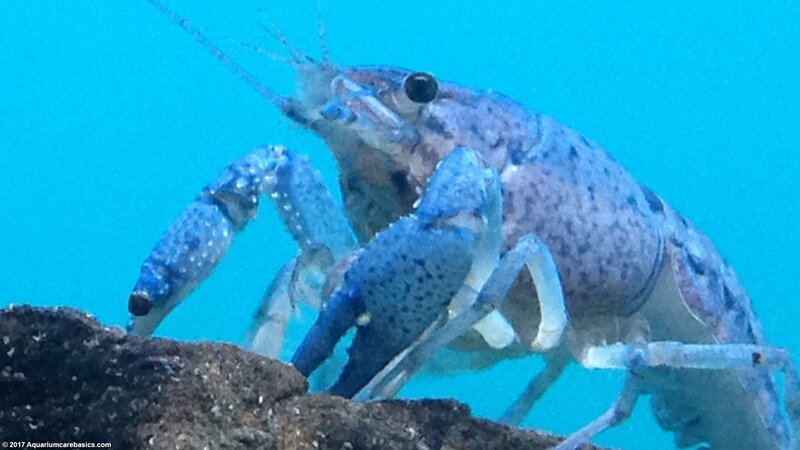 Aquarium crayfish are not good tank mates for tropical community fish. 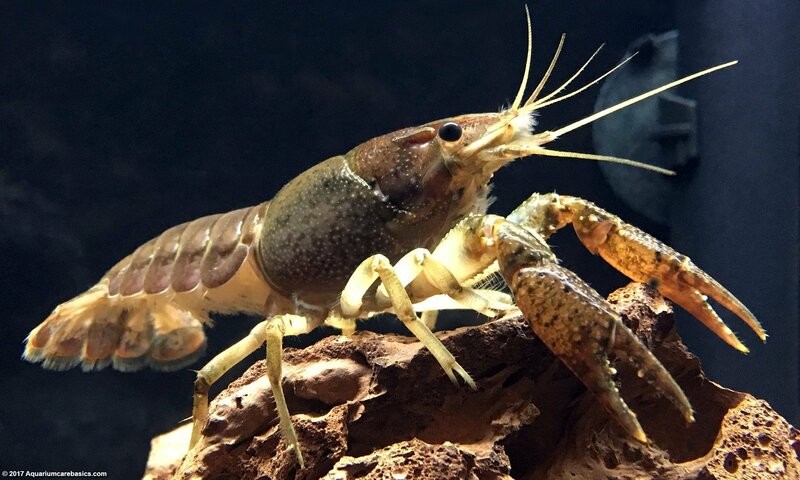 Often, aquarium crayfish are too territorial and aggressive for fish like black mollies, sword tails, Corys and Otocinclus. Don’t be tempted to purchase one just because it looks interesting. Community tank fish will have no defense against their sharp claws. More often than not, the peaceful community tank fish will be eaten. 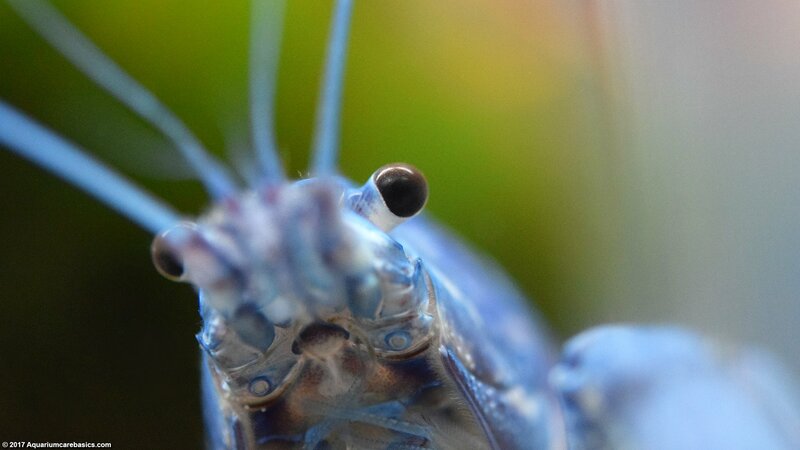 Similarly, Freshwater shrimp species like Ghost Shrimp, Amano Shrimp, Cherry Shrimp and freshwater snails are too small and vulnerable to be kept with crayfish. The same goes for multiples of their own kind. 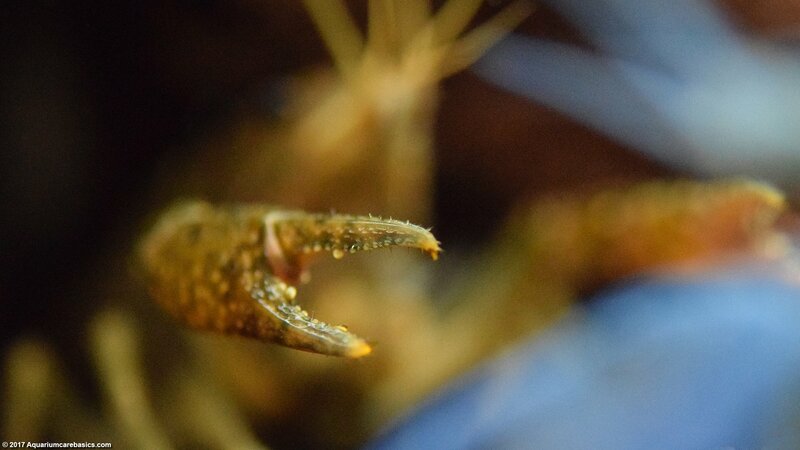 Tempers often flair when aquarium crayfish are pared together, especially in tight quarters. 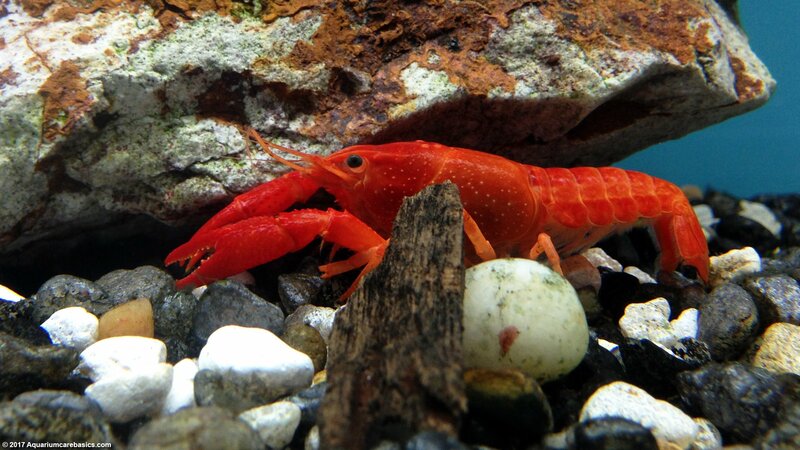 Keeping aquarium crayfish with cichlids and other roughens can be just as tricky. 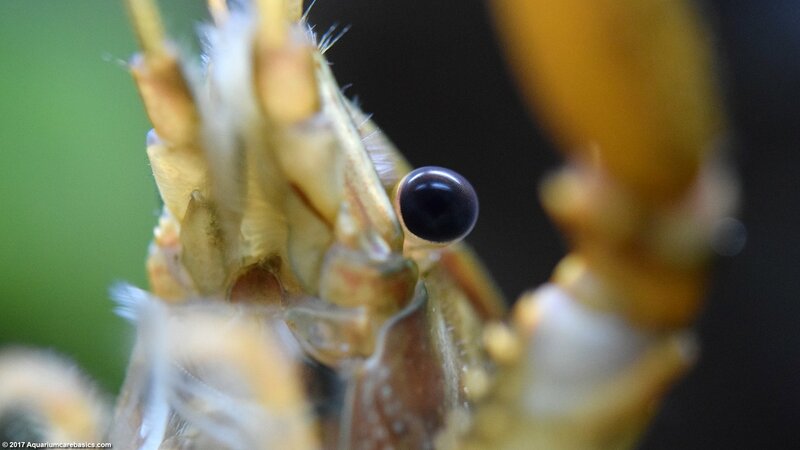 Roughens may attack the crayfish and get injured when the crayfish defends itself. 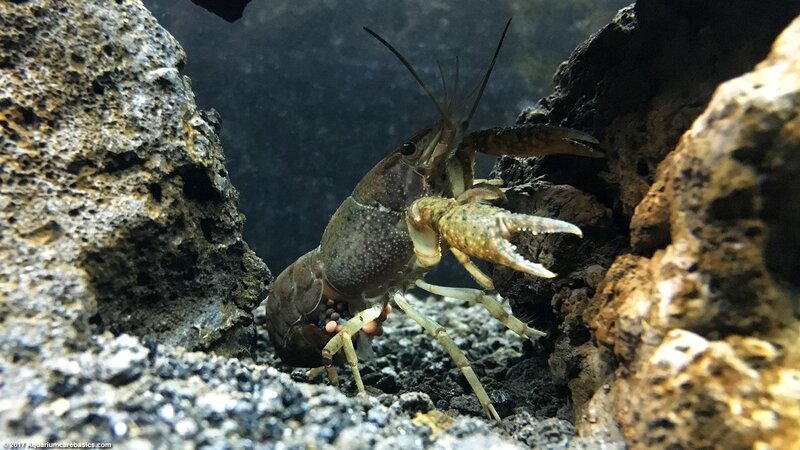 Or the larger fish may get the upper hand during the battle and the crayfish may lose a claw, an eye, a leg or get eaten. Either way, the result can be unpleasant. 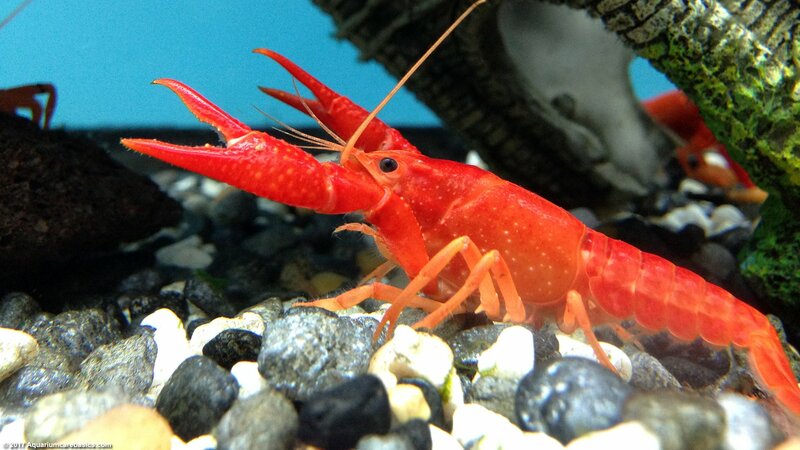 Be sure to check with the store clerk regarding compatibility issues before purchasing an aquarium crayfish.